A 19-year-old Canadian man who pleaded guilty to terror-related charges in New York has a "long and documented history of mental illness" and substance addiction, his lawyers argue in recently unsealed court documents. 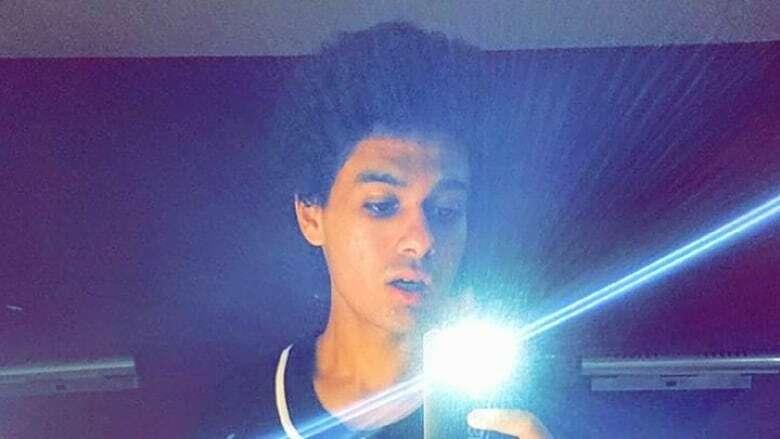 Abdulrahman El Bahnasawy is set to be sentenced by a U.S. federal judge in December for his involvement in a failed 2016 plot to detonate explosives in Times Square and the New York City subway network, as well as to target concert goers at multiple venues in support of ISIS. The plan was exposed by an FBI agent, posing as an ISIS supporter, who communicated digitally with El Bahnasawy and two alleged co-conspirators in the months before the planned attacks. The charges and El Bahnasawy's subsequent guilty plea were made public last Friday, but the Mississauga, Ont., teen has been imprisoned at New York's Metropolitan Correctional Centre since the spring of last year. In a series of letters to the presiding judge, his lawyers pleaded for improved confinement conditions for the teen, noting multiple times that he "suffers from significant mental health issues" and arguing that he was "deteriorating" day by day. His legal team's appeals to the Manhattan judge came as El Bahnasawy was being held in a Special Housing Unit (SHU), or solitary confinement, when he was still 18 years old. A letter dated June 7, 2016, reads, "At 18 years of age, 24-hour confinement in a room with no windows is punitive. It is even more punitive when that 18-year-old is an individual with a long and documented history of mental illness, aggravated by documented substance abuse and long-term substance addiction for which he received in-patient addiction treatment." Other documents note that El Bahnasawy had relapsed multiple times in his effort to get free of drugs. In September 2016, he was finally moved back to the general population. According to records of court proceedings, it was a short time after his transfer that another inmate offered El Bahnasawy Suboxone — a replacement therapy used to treat opioid addiction that is considered an illicit substance in prison if inmates use it without a prescription or medical oversight. As a result of him taking the drug, prison officials tried to suspend his visitation privileges for 18 months, including members of his immediate family. According to one of his lawyers, Sabrina Shroff, his father, mother and sister are the only people El Bahnasawy was close to before his arrest in May 2016. The judge, Richard M. Berman, intervened on his behalf, saying in court that he'd "never done this in any case before," according to another letter released in the documents and, as a result, visitation privileges were restored. Two others, Talha Haroon, a 19-year-old U.S. citizen living in Pakistan, and Russell Salic, a 37-year-old Philippine citizen, were arrested outside of the U.S. for the plot. The unsealed court records show that El Bahnasawy's role was to purchase bomb-making materials and help secure a cabin within driving distance of the city for the purpose of building explosive devices. He was arrested in New Jersey while travelling to New York to carry out the attacks. Details of the case against El Bahnasawy were a closely guarded secret as U.S. federal authorities hoped not to tip off another suspect who they thought would try to enter the U.S. in the weeks before the planned attacks. The expected attempt never came to fruition. Beyond concerns about the role the U.S. government played in the lead-up to El Bahnasawy's entry to the country, Shroff said he remains "vulnerable" in prison and questions remain about the quality of medical care he can access.